In the Academy, my favorite professor was Eugene Petrovich Sitkovskiy. He was one of the best specialists in the Soviet Union on the German philosopher Georg Hegel and the dialectics. However, my whole group looked forward to attend his lectures not because of his knowledge of Hegel, but to listen to his stories. — Evgeniy Petrovich, please, tell us about Stalin or Bukharin, — one of us used to ask him in the beginning of a lecture, as soon as Sitkovskiy sat down at his table. – We will read about Hegel ourselves. Sitkovskiy had unique life experience, he personally knew Lenin, Bogdanov, Stalin and other leaders of the Soviet past. The History spoke to us through Sitkovskiy. — Morozov, are you planning to write your thesis on Bogdanov? – he asked me after the first lecture. He spoke to me, smiling with regret and amusement. Sitkovskiy was almost 90 years old. After the Great October revolution in 1917, Russia has fallen down into the Civil war. In 1919, the territory under control by Lenin and the Bolsheviks (communists) government has shrink to nearly 30% of the Russian territory. The rest of the country was covered by war, or under control of anti-communists armies and groups. The White army under the command of the Tsarist officers tried to capture back Saint-Petersburg and Moscow from the Bolsheviks and restore the Tsarist Russia, but there were also a number of different “armies” fighting for the local, nationalistic interests, along with the troops of fourteen foreign armies, who tried to support their favorites and protect their interests or get some part of Russia. At one point, Germany has occupied Ukraine and forced the Bolsheviks to sign a treaty allowing Ukraine to separate from Russia and to remain under the German control. However, Lenin and the Bolsheviks have managed in a very short period of time to organize a new army – the Red army – and by 1922 to get control over the whole territory of Russia, including, of course, Ukraine. Lenin had agreed for the independence of two states only: Poland and Finland. During the Civil war, Sitkovskiy was the Chief of the Special Department of the Red army group, which had taken over the Caucasus and established the Soviet power in Georgia, Armenia and Azerbaijan. ‘Koba’ was the old alias of Stalin, and only few very close friends had the right to call Stalin ‘Koba’. Nickolay Bukharin was the member of Politburo of the Central Committee of the Communist Party. He was the main theoretician in the Kremlin and, as once Lenin said, “the favorite of the Party”. Until his death in 1924, Vladimir Lenin didn’t know that he was “the great philosopher”. He had tried once to write a book on philosophical issues, but failed to impress his readers. This book was called “Materialism and Empiriocriticism”, published in 1909. At that time, the book attracted attention only of few, including Bogdanov, who was the main target of Lenin’s book. He bought one of the few copies of the book sold before the Revolution. Bogdanov replied to Lenin in «The End of the Great Fetishism», showing Lenin’s ignorance and his dogmatic approach to Marxism. 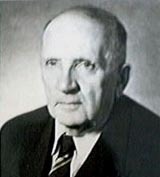 In 1937, Sitkovskiy became the Head of the Ideological Department of the Central Committee of the Communist party. He was responsible for the ideology in the Soviet Russia until the World War II. One year before his appointment, in 1936, Stalin decided to buy the archives of Karl Marx and Friedrich Engels. The archives were in position of the German Social-Democratic party and had been transported from Germany to France to avoid the arrest by the Nazis. By that time, Nikolay Bukharin has lost his position in the Politburo and the Central Committee, as well as the position of the Chairman of the Comintern, the Communist International. The Comintern (1919–1943) was an international communist organization that advocated “world communism”. Bukharin has irritated most of the members of the Politburo and the Central Committee by frequently criticizing and expressing his personal opinion on the decisions, by “deviating” to the ‘right’ and to the ‘left’ from Stalin’s policy. However, he remained the Academician, the Chief Editor of several party information organs and a close friend of Iosif Stalin. Bukharin and Stalin had become very close friends after Lenin’s death. Before he died, Lenin had written his «last will», the letter to the Central Committee of the Communist party. In this letter, he gave characteristics to the most prominent leaders of the party. For example, he called Bukharin “the favorite of the party”, but at the same time noted his “unstable political views”, that his views “can’t be called pure Marxism”, that Bukharin had never “really studied and didn’t understood dialectics”. The most important part of the letter was devoted to Stalin. Lenin had stressed Stalin’s cruelty, rudeness, that Stalin had concentrated too much of power in his hands, that he couldn’t be the leader of the party and State. Lenin insisted on the removal of Stalin from the position of the General Secretary of the party and demanded that his letter was to be distributed and read among all party members. Bukharin insisted that Lenin’s letter should be kept as secret and that Stalin should remain as General Secretary, and the members of the Central Committee supported Bukharin’s point of view. After this, Stalin considered Bukharin to be his most close friend. For long time, Stalin used to endure and forgive Bukharin’s criticism and “deviations” from the party policies. However, every time Bukharin used to confess and accept his “mistakes”, confirming the characteristics given to him in the last Lenin’s letter. In 1930-s, Stalin started the purges in the party, expelling all, who were untrustworthy. The main targets were ‘old Bolsheviks’, who had passed through the bloody WWI, Revolutions, Civil war and who looked at Stalin as ‘one of the equals’ and who were ready to confront him and his policies. Hundreds of thousands were expelled from the party, and millions were accepted as new members, most of them were young workers and military, who were brought up under the leadership of Stalin. The purges were followed by arrests and trials. The peak of the trials, so called “Moscow trials”, took place in 1936-1937. There were three main trials. Among the arrested, accused and executed were the former members of the Politburo, the former Chairman of the Soviet Government and other top revolutionaries and Soviet officials. During the first two trials, some of the arrested had accused Nikolay Bukharin in anti-Stalin and anti-Soviet activities. Stalin didn’t believe those accusations. The beating and torturing was often during interrogations and Stalin could not trust fully the information received through the interrogations by the Secret Service. In 1936, Stalin sent Bukharin to Europe to negotiate the purchasing of the archives of Karl Marx and Friedrich Engels. After Marx’s death, his archive was moved from London to Germany, where Engels lived. Before his death, Engels bequeathed his archive and archive of Marx to Eduard Bernstein, who became his most close friend in the last years of Engels’ life. Bernstein bequeathed the archives of the German Social-Democratic Party. When the Nazi came to power in Germany, the archives were moved to Paris. The Soviet Government approached the German social-democrats and asked them to sell the archives. The Germans agreed to sell and asked one hundred thousand dollars for the archives. For the Soviet Union, created on the ideas of Marx and Engels, — though, both of them had ruled out the possibility of the socialist revolution in Russia, — the possession of the archives by the Kremlin was a matter of honor. Nikolay Bukharin travelled to Europe and spent some time, moving from one European city to another. The air of freedom, the attention and admiration that Bukharin enjoyed from the European liberal circles, scientific societies and social-democratic public made Bukharin joyful and careless. He attended the receptions and parties organized in his honor, he enjoyed the talks about his intelligence, his democratic views, about humanism of his ideas. He liked to hear criticism of Stalin, the Europeans talking about Stalin’s personal cult and his “stiffness”. At these conversations, there were people who talked about the need to democratize the Communist party and the Soviet government, they spoke about the need in new leaders, that “exactly Bukharin” represented the best qualities of the Bolshevism and that he should become the new leader of the party and the Soviet Union. At one point, Bukharin began to agree, and there were people, who started discussing with him the specific issues relating to the possible replacement of Stalin and his close supporters. Naturally, the agents of the European Intelligence units and the agents of the Soviet intelligence service were present at the meetings and reported about the discussions and Bukharin’s reaction. Bukharin was not interested in the finalizing the deal on the purchasing of the archives. Now, he was interested in postponing his return from Europe to the Soviet Union. However, there was another obstacle to get the deal done. In the archives, as Bukharin reported to Moscow, there were the documents, which reflected the change in the views of Marx on the religion, dictatorship of proletariat and the communist revolution. Before his death, Marx became a religious man, and he, as well as Engels, became inclined towards a smooth transition from capitalism to communism, which was strongly advocated by Bernstein, whom Lenin and Stalin hated. These ideas contradicted to Leninism, to the policy of Stalin and the Central Committee of the Communist party. It was clear, that it was necessary to keep the archives abroad. In case of necessity, it could give a chance to declare the documents as falsification. When the report of Bukharin came to the Kremlin, it was decided to terminate the negotiations with the German socialists, and Bukharin was called back to Moscow. 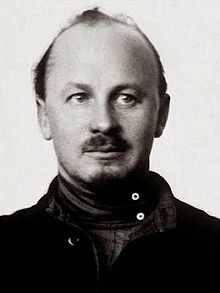 Soon after his return, Bukharin was arrested. 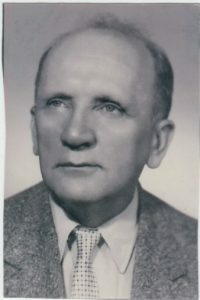 By this time, Sitkovskiy was appointed the Head of the Ideological Department of the Central Committee of the party and was a witness to the end of Bukharin. Stalin stood up and went out of the room. In the doors, he turned to the officers of the Security Service. — He is yours, — said Stalin and left the room. Once, in Kremlin, he jumped hastily out of his office room into the corridor and ran into Stalin, who was walking through the corridor. He knocked Stalin down to the floor. Stalin slowly got up and silently walked away. — For bringing him down on the floor Stalin has done nothing to me,- Sitkovskiy told me, with his usual smile. – But for writing wrong article at the wrong time, I’ve got ten years in prison. At the beginning of the World War II, Sitkovskiy was appointed the Commander of the Political Department at the Western front, which was fighting to stop the German army advancing towards Moscow. Even during the war with the Germans, he tried to find time to write articles on philosophic issues and his beloved Hegel. Unfortunately, he was not the only one who used to write and to read the articles on philosophy in war time, and Sitkovskiy paid for this heavily. In 1943, he wrote an article on Hegel’s dialectics and sent the article for the publication to “The Communist”, the main ideological journal of the Party. After few days, at the front, he received the latest issue of “Pravda” (“The Truth”), the main newspaper of the Party, with an article written by Stalin. To his horror, the article criticized the “the bias into Hegelianism”. Sitkovskiy rushed to the telephone and from the front called the Chief Editor of «The Communist» and asked him not to publish the article and to burn it. The Chief Editor told him that the journal had already been printed and sent to cities for distribution. Sitkovskiy was arrested, brought to Military Court and sentenced to ten years in prison without the right to write and to receive letters. — Stalin could forgive me dropping him to the floor, but he couldn’t forgive me writing an article in contradiction to the Party policy,- said Sitkovskiy. He was looking at me for a minute in silence, and I felt that even after forty five years, with ten years in prison, and all criticism of Stalin, all accusations and “exposing of the personal cult”, Sitkovskiy remained staunch Stalin’s supporter and admirer. In 1988-89, many articles appeared in the Soviet press about Nikolay Bukharin, all of them in favor of Bukharin, praising him and accusing Stalin. Bukharin was rehabilitated, proclaimed as “the innocent victim of Stalin’s repressions”. In Moscow, the public meetings and conferences were organized in his memory. Запись опубликована в рубрике Premium, Relational Thinking, АПН, История, Мемуары, Политика, Философия с метками Academy, APN, Bukharin, Fedin, Ordzhonikidze, Sitkovskiy, Stalin, Богданов. Добавьте в закладки постоянную ссылку.